Designed for cutting very soft, thin, expensive material, allowing for very little waste. Not for cutting hardwoods. 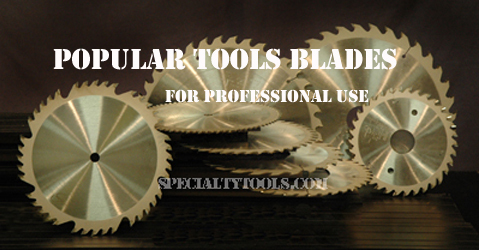 Please consult us before choosing this saw blade. Limited Warranty. ATB Alternate Top Bevel. This is the most popular, saw design, and with good reason. It is excellent for cutting operations with or against the grain, acheiving a high level of quality over a high range of cuts. Top beveled sever the material with a shearing action. Teeth alternate left and right top bevel.